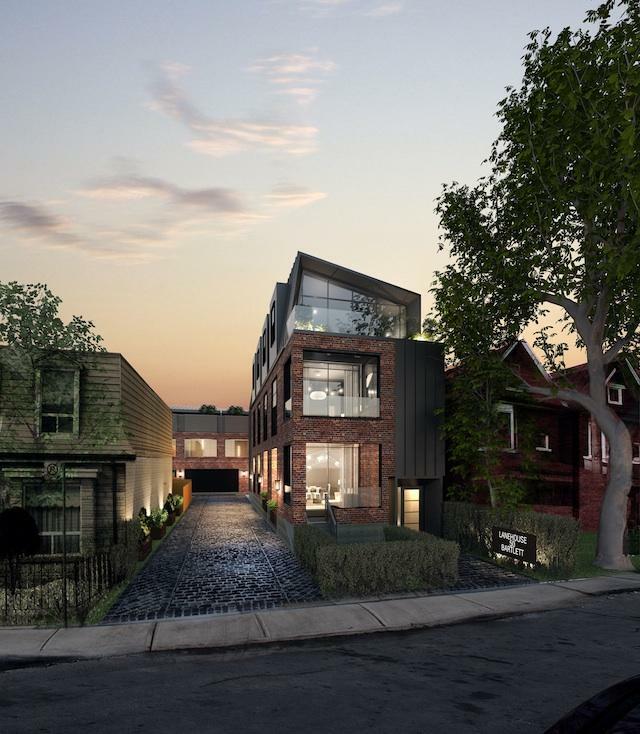 Lanehouse is a unique new townhome development by Curated Properties (who brought us the innovative Edition Richmond), located at 50 Barlett Avenue near Bloor and Dovercourt. The beautiful design is inspired by the site’s original heritage building which will be restored and updated to create 13 bright and spacious loft-houses and three flats. Designed by Audax Architecture (Shops at Summerhill, The Chase), and inspired by the craft spirit of the site’s former operation, a yarn factory, Lanehouse creates something unexpected in the city. The development is inviting and peaceful. Designed to maintain its authentic roots, Lanehouse is charming with an enticing sense of discovery. Carefully edited interiors are by newcomer Nivek Remas (also of Yabu Pushelburg) who have created an approachable residence with an elevated aesthetic. They didn’t want the spaces to feel cold or like an empty factory, so traditional and contemporary components have been perfectly balanced. Industrial elements are thoughtfully layered with raw materials. Loft-houses and flats feature exposed milk washed brick to create a softer appearance. Expansive 18-foot ceilings and master baths with skylights provide tons of openness and natural light.